I had the idea of doing a color hunt after reading this post. I loved looking at all the bright colors. Still surrounded by white here, bright colors grow harder (and more refreshing) to find. Seeing this cheerful spot in the blogging world made me want to make one of my own. So, I started looking for pink. As with anything, the more I looked, the more I found. And, with two sisters, there was a lot to find . . . 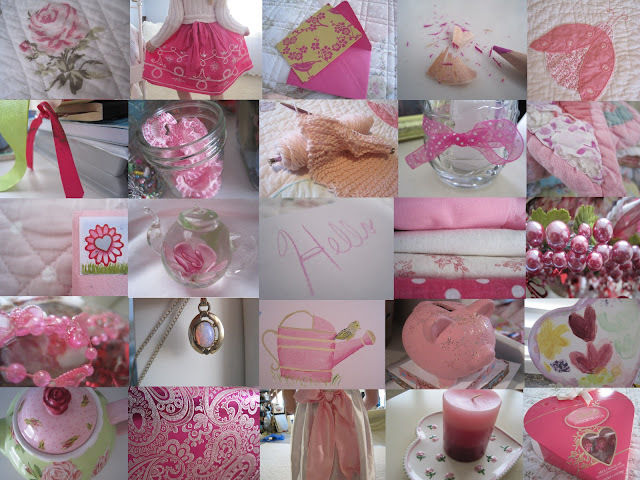 I really enjoyed my search for pink and am hoping to hunt for other colors, too. By the looks of the sky, it will be a relief to find yellow. And who knows, when warm weather finally arrives, maybe I'll be in the mood for white!